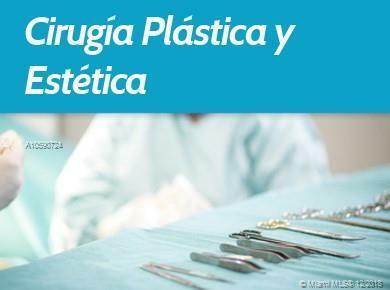 For sale important clinic of cosmetic surgery and esthetic procedures completely installed and working. Well established clientele for more than twenty years. Located in an important commercial area, easy access, southwestern Miami. Full surgical operating room, offices, reception, pre-surgery room and recovery area. Double entry with convenient parking. Very good rental contract, with a remaining 6 years and option to renew. Do not miss this opportunity, adaptable to all types of medical clinic.